We have entered the ‘Second Wave’ of e-Learning and have a much greater understanding of how e-Learning can benefit us and organisations. 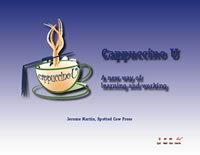 Gone are the days when we thought on-line training was the panacea and we enter an era of business games, m-Learning and self-authoring. The results and analysis will be published during January 2007 after the survey closes at the end of December 2006. Despite its rather daunting title, this series of instructional videos offers a way for teachers and students alike to enter the world of statistics with confidence. 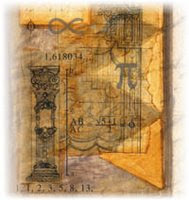 Originally produced by the Consortium for Mathematics and Its Applications, this 26-part series is hosted by Teresa M. Amabile. Intended for a wide range of students, each episode lasts for approximately 30 minutes. Visitors to this site can view the episodes, and they may wish to move around from such topics as distributions, time series, and the ever-popular significance tests. Users will need to sign up to view each program, but this process is offered at no charge. From The Scout Report, Copyright Internet Scout Project 1994-2006. Some of Stanford University's most diligent students are never in class — or even in the same time zone. These foreign students, earning a master's degree in engineering through a program available entirely online, concede that they miss the sports, the sunshine and the easy camaraderie of fellow Cardinal. But they gain an education — and a competitive edge in the workplace — not available in their home countries. No fewer than 120 international e-learning providers have gathered at the ongoing worlds largest international conference on Information Communication Technology (ICT) supported learning and training taking place in the capital of Germany, Berlin showcasing their products and services. The 134 lectures from Universities in this list are all free and don't require any type of authentication, you don't have to be a student to download them. 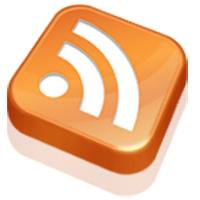 Here is the complete updated list of 145 podcasts for your educational pleasure. To enhance the institution-wide adoption of ICT in learning and teaching, the University of Leicester has opened an E-Zoo, a very colourful and likeable way to invite teachers to join the eLearning world. Gilly Salmon, Professor of E-learning & Learning Technologies at the University’s Beyond Distance Research Alliance, was interviewed by CHECKpoint eLearning. The rSmart Group, provider of commercial support for the open source collaboration and learning environment Sakai, announced that it would begin providing commercial support and its rSmart Sakai CLE, a Collaboration and Learning Environment (CLE). 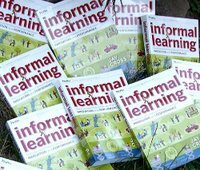 In December's edition of Chief Learning Officer Magazine Jay Cross from Internet Time Group calls Wikis "a new tool in the learning executive’s toolkit". The 2006 National Survey of Student Engagement, released today, for the first time offers a close look at distance education, offering provocative new data suggesting that e-learners report higher levels of engagement, satisfaction and academic challenge than their on-campus peers. Sarah Schmidt, The Ottawa Citizen. Pointing to the time-compressed "wired-to-the-world campus," the majority of university professors report they skim sources for useful bits of information and don't read as deeply and reflectively as they once did. The survey of faculty from across the country, conducted by Carleton University's Heather Menzies and York University's Janice Newson, suggests about the same number -- two-thirds -- also aren't reading as thoughtfully as they would like. Efimova, L. & Grudin, J. (2007). Crossing boundaries: A case study of employee blogging. Proceedings of the Fortieth Hawaii International Conference on System Sciences (HICSS-40). Los Alamitos: IEEE Press. Editors, email, and instant messaging were first widely used by students who later brought knowledge of their uses and effective practices into workplaces. Weblogs may make such a transition more quickly. We present a study of emergent blogging practices in a corporate setting. We attended meetings, read email, documents, and weblogs, and interviewed 38 people—bloggers, infrastructure administrators, attorneys, public relations specialists, and executives. We found an experimental, rapidly-evolving terrain marked by growing sophistication about balancing personal, team, and corporate incentives and issues. This book can help you, if you need ideas to spark your creativity in terms of online courses. This book provides a good discussion of blended learning and how it can be made to work within organizations. 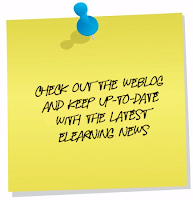 The Canadian eLearning Enterprise Alliance (CeLEA) is pleased to announce the availability of its latest publication! 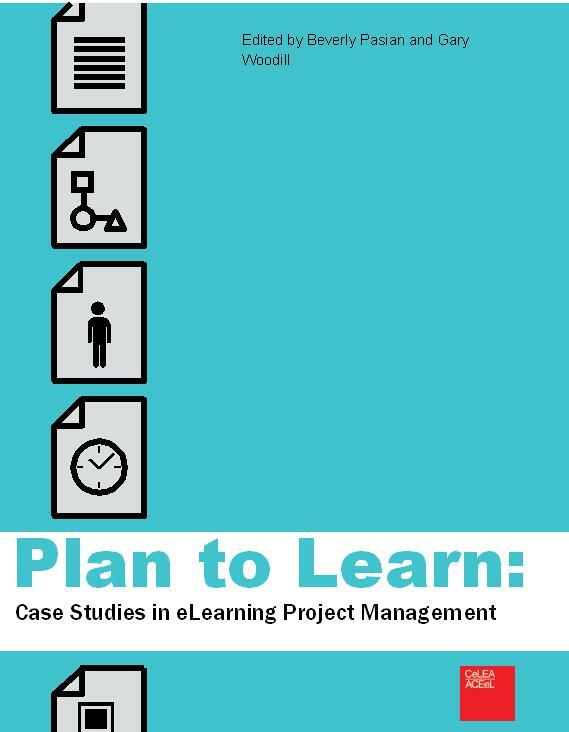 Development of elearning project management skills; Importance of leadership; Change management; Managing risk in an elearning project; and Dealing with cultural conflicts. State of the Art Report on Distance Learning Quality for SME’s is just published. 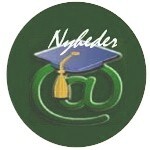 People often equate e-learning with self-paced courses. Powerful e-learning technology exists, however, that allows people to learn and collaborate in real time from anywhere in the world. These powerful software platforms provide great foundations for training, business communications, brainstorming, and teamwork. Tired of text-driven e-learning for teaching higher-level skills? Why is so much e-learning for teaching soft skills often text-based? Perhaps it’s because technology-based soft skills simulations can be difficult and costly to create. Education has come a long way from the one-room school house of the pioneer era. With new technologies and innovations, the way students attend class has changed. Besides the traditional public school setting, options include private and home schooling, as well as online classes. 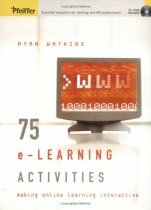 This e-book, E-Learning Concepts and Techniques, is the result of a collaborative effort by students in the Bloomsburg University, Department of Instructional Design spring 2006 E-Learning Concepts and Techniques online class as well as several guest authors and contributors from around the world. It was a project-based assignment for the online class, E-Learning Concepts and Techniques Spring 2006. 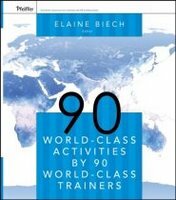 Elliott Masie's workshop activity, "Open Their Fist", and 89 other activities are described in detail in this new book. The activities are organized by topics: change management, coaching, communication, service, leadership, icebreakers, etc. And it’s fun to see what the favorite activitity is of some of our most famous gurus: Bob Pike, Darryl Sink, Marjorie Blanchard, Jim Kouzes, Jack Zenger, Edward de Bono, Thiagi, and Mel Silberman. If you facilitate workshops, check out this book. Currently working as an Open Source web conferencing company, 1VideoConference is completely revolutionizing the way people interact online. 1VideoConference allows its Web, Audio/ Video phone, Skype, Msn and Yahoo users to instantly participate in live web conferences without the need for lengthy downloads or complicated installations. At any time, our host customers can simply drop a small piece of code onto their websites and INSTANTLY create their very own online video conference room. Information about this free new service from Famundo. Famundo has just announced Famundo for Organizations, a free web-based tool that streamlines the calendar scheduling and communications process between schools, teachers, students and faculty. A freely-distributed e-book on the future of learning. Henrik Føhns er ny vært for DR's radioprogram Harddisken. Han er en pioner i brugen af de digitale medier med podcasts og blogs. Hør ham fortælle om fortidens boble og om fremtiden inden for en hæsblæsende digital fremtid. Users of Bitrix Site Manager can now enjoy the two new modules: e-Learning and Blogs. 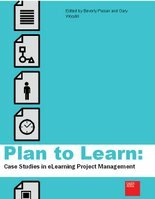 Deploying an e-learning system does not guarantee that it will be successful. Faiz Askari focusses on the factors that can help ensure that a online training programme is a hit. Learning and knowledge are cornerstones for society and organizations. Knowing Knowledge is an exploration of the change impacting both learning and knowledge, and recommends changes required in order to align corporations and educational institutions with developing trends. Knowing Knowledge will be available for purchase from this site, Amazon , as well as free .pdf downloads. It can currently be purchased (via Lulu). A wiki has been set up for discussion (or correction) of the text. Kineo announces the launch of Rapid Elearning Store. The store contains a comprehensive and pragmatic set of tools and resources that you can use now to accelerate your e-learning, drive out cost, and regain control – without compromising quality. The SyberWorks e-Learning Podcast Series reports on helpful and important topics in e-Learning, Learning Management Systems, custom online training development, instructional design, performance management, talent management, and human capital management. More students are taking online college courses than ever before, yet the majority of faculty still aren’t warming up to the concept of e-learning, according to a national survey from the country’s largest association of organizations and institutions focused on online education. 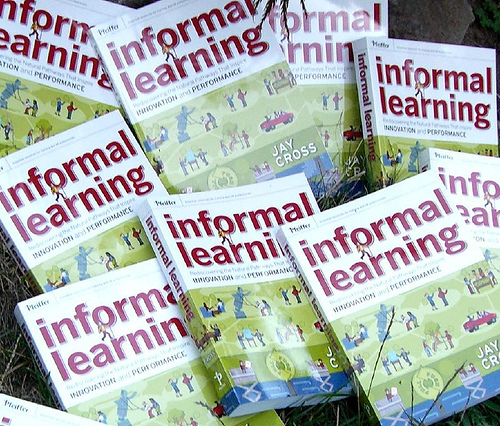 Informal Learning by Jay Cross is now available at Amazon. Hvilken vej vil internettet gå i fremtiden?